The predominant opposing views on the origin of the universe and life are religion and materialistic evolution. But there is a third one too, secular creation, although that option is virtually ignored by everyone. Materialistic evolution is the belief that natural laws, the universe, and life can and did arise spontaneously. As one popular science writer put it, "We are, after all, evolved comets and sunbeams. From stardust we are born and to stardust we will return." Scientists believe it either because it is what they were taught or because the assumed alternative, religion, is rationally untenable and morally repugnant to them. They can't put the Creator in a test tube to examine, forgive the atrocities committed by religion throughout history, or reconcile a just god with the tragedies in our world. But belief in evolution has its own ethical implications. Matter, energy, and randomness, the gods of evolution, say nothing about stealing or killing. Moreover, peace would be an oxymoron since evolution's mechanism is struggle and conflict, with only the fittest surviving. This is not to say that evolutionists are keen to hurl atomic bombs about, or that humanistic evolutionists cannot be wonderfully kind and decent. It's just that the materialistic evolutionary philosophy would logically accommodate any variation of amorality one would like to compose. Religions contend that life was created by a god as revealed in the Bible or other religious texts. Holy book religions either take their creation accounts literally, or not wanting to be at odds with current scientific opinion, bend their scriptures and adopt evolution into their beliefs. Although religion is thought to represent goodness, and it often does, every manner of unethical behavior has also been justified. Holy books and guesses about the will of each religion's god create doctrines. Doctrines dictate right and wrong without regard to the sensibilities of individual conscience. Each religion imagines their god and doctrines as true, and the gods and doctrines of other religions as false. This creates a war of doctrines, as well as literal wars that have wrought misery upon humankind for thousands of years. The ignored third option is that we were created, but the Creator has nothing to do with human-made religions. This third alternative, creation without religion, argues that reason and science force the conclusion that there is an intelligent Creator. The ethics of this position are derived from individual conscience created within us. 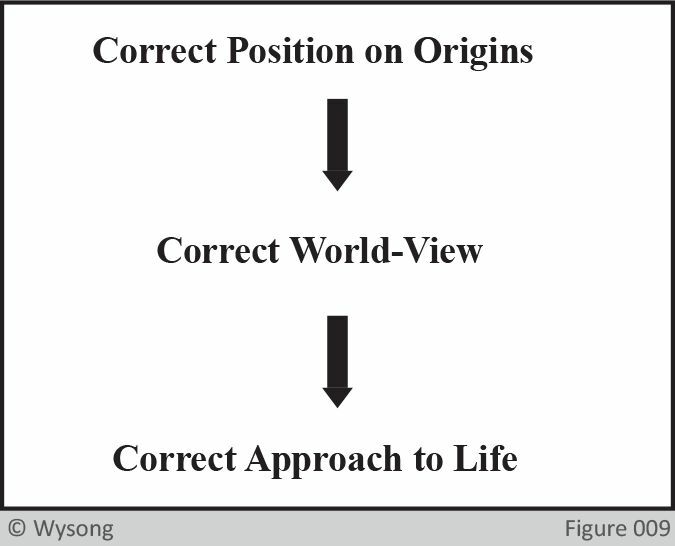 Evolutionists don't consider the secular creation position because they think their belief is a closed case. They also suspect any mention of creation as an evangelistic ruse to push holy books into schools. Evolutionists fear a return to the Dark Ages with schools becoming catechisms indoctrinating children with a fundamentalist mindset hostile to science and reason. On the other hand, religionists don't consider secular intelligent creation because they see atheism and evolution as the only alternatives to religion. They're also vested emotionally and socially and believe religious edicts are necessary for humans to know right from wrong. ​Nothing could be more important than the underpinnings that sow the seeds for why we decide to do what we do in life. So, the question of origins is not a mere academic exercise. It's vitally important to each of us and the world at large. Consistency with natural law, reason, and evidence are the only means by which the truth can be determined from among the three alternatives. 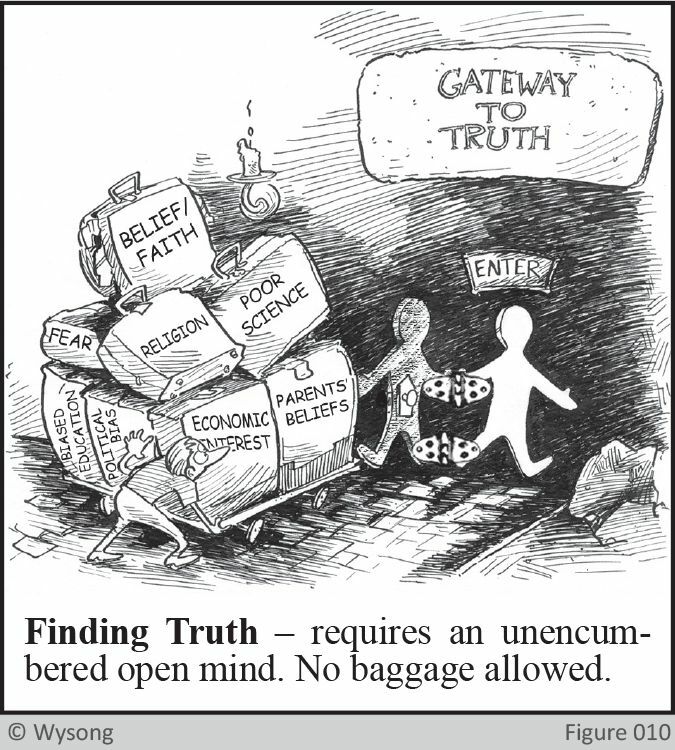 To determine which idea will survive such scrutiny, we must suppress our biases and make finding truth the only goal.